I have rarely, if ever, thought about the fabric I buy to make dolls and doll clothes with, beyond the color and if I like it. I do sometimes consider the fiber content, but never thought about where the pattern came from, the designer, the choice of colors and how the design gets put on the fabric. Don't let the name of this book fool you, "All-Girl Crafts" by Kathy Ross and illustrated by Elaine Garvin,is packed full of great ideas for crafters and doll makers of any age. Cultivating Your Creative Life has value for all creative people, no matter what your chosen art form is. I am resolved to be nicer than I need to be, to all I meet this year, due in large part to my recent experience selling dolls and toys at Christmas. For those of you who make your dolls to sell, or who are thinking about trying to earn a little extra money selling your dolls, this book is an invaluable addition to your library. Many of you have asked for patterns or instructions for making knitted animal dolls. Knitted Animals by Anne-Dorthe Grigaff is the perfect solution for this request. This is a delightful book with instructions for making twenty-two different animals included. This ebook includes patterns and instructions for six outfits plus underwear and accessories. Outfits include Spring Holiday Dress for American Girl Dolls as well as a dress for slender 18 inch dolls, bloomers, slip, bag, jewelry and scarf with hat. These books are full of patterns and instructions for making cloth, fabric and rag dolls. 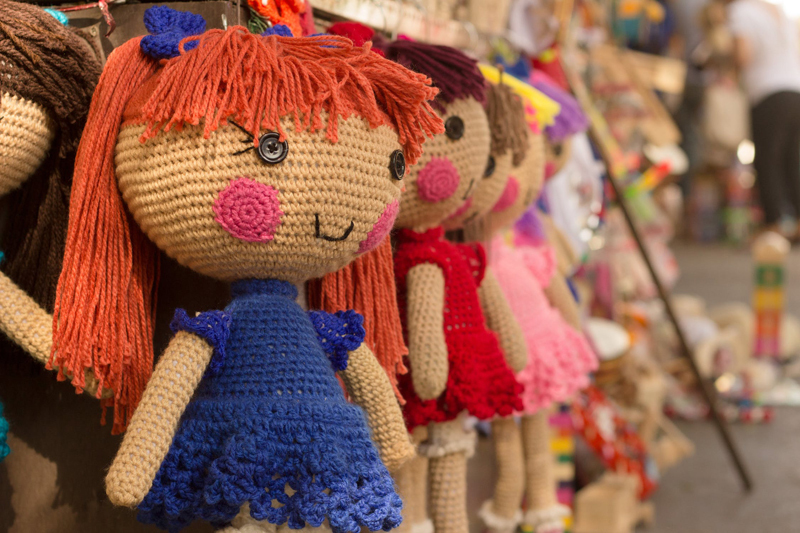 These books discuss dolls made in more than just cloth or vinyl, such as paper, wood, polymer clay and found materials. I highly recommend Raggedy Ann's Wishing Pebble both as an addition to any Raggedy fan's library and as a wonderful gift for a child. I highly recommend this book to anyone who is working through a creative block, or just to gain some insight into your creative direction; but it's a lot of fun, too. The Lonely Doll Books by Dare Wright are books that doll lovers of all ages will want, just for the fun of it.